If you ask boomers what they think of millennials — or Generation Y, as they’re so commonly referred to — you may hear criticisms bemoaning these lazy, ignorant and entitled narcissists with faces eternally glued to their phones. Emory University professor Mark Bauerlein called today’s 20-somethings the dumbest generation, and Jean M. Twenge, professor of psychology at San Diego State University, warned of the narcissism epidemic among generation me. Indeed, many view this cohort in a disdainful light. But Don Tapscott isn’t buying it. 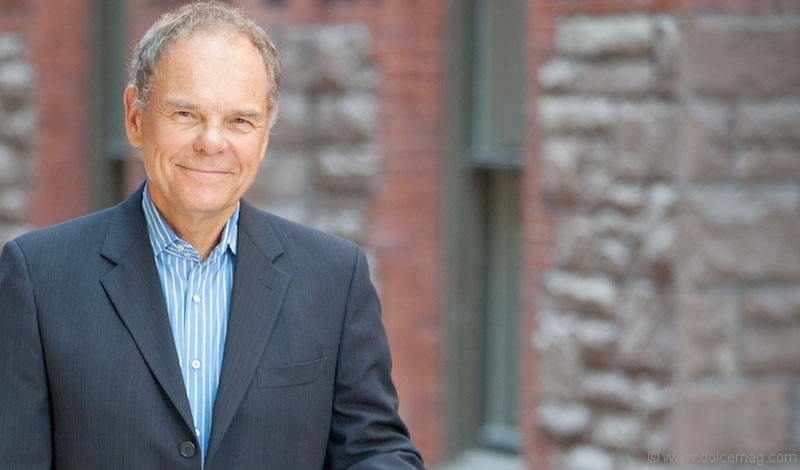 A Canadian business exec, consultant and author, Tapscott has kept an eye on the development of millennials for over 15 years, and what he sees is quite the opposite. At this year’s Ideacity conference in Toronto, Tapscott shared his thoughts on what he’s described as “the digital generation,” a topic he explored in two books, Growing Up Digital and Grown Up Digital. Tapscott explains how through a $4-million research project he and his team interviewed over 11,000 Gen-Yers from 10 countries to find out how they tick. He explains that the slights against this demographic are ungrounded. Today’s youth have impressively high IQs at a time when getting into the best schools has never been more difficult; the number who volunteer is higher than any past generation; and alcohol, drug use and youth crime in this demographic is dropping. For the first time in history, the youth today are also authorities on an all-too important topic: the digital revolution. Dolce sat down with Tapscott (author of Macrowikinomics) after his Ideacity presentation to dig a little deeper. You first explored this topic in your book Growning Up Digital, which came out in the ’90s at a time when the affects of connectivity weren’t greatly investigated or criticized like they are today. Tell me about your fascination with this generation and how it started. I guess I was the first to study this generation as a “digital generation,” and began, as I said in my speech, in the mid ’90s when I noticed my own kids were effortlessly able to use this new technology. At first I thought they were prodigies, and then I realized that there was something really big happening. So I started working with kids back then and I wrote this book. I argued that this generation will be different because they’ll have no fear of technology like I have no fear of the refrigerator. You also mentioned that a shift is needed in the way we educate kids today. Could you elaborate on that point? The industrial age was an age of scale and standardization, where something at the top pushed down standardized units to passive reciprocates. Mass production, mass marketing, mass media, mass advertising, mass communications, mass education — people in control pushed out products, television shows, lectures, all these standardized units and we were passive recipients. Today, the Internet is very different. It’s not one to many; it’s one-to-one, it’s many-to-many. It’s not controlled and it has this awesome neutrality. It means that people have power and people can now be engaged. So the model of learning we have is this teacher-focused, one-way model where students are inert. We can move to an interactive, collaborative model where everyone collaborates in the learning process. The way that works is really, really simple. This is not about technology. It’s a change in the relationship between the student and the teacher and the learning process. There are three things. One is anything where there is a right or wrong answer, so that’s what we used to call instruction — so most math, most science, a lot of history, even in the humanities, English — anything where there is a right or wrong answer we need computer-based learning. It shouldn’t ever be done with lectures. Lectures are the process whereby the notes of a lecturer go to the notes of a student without going through the brains of either. [Computer-based learning] frees up teachers from being a broadcaster of data to becoming someone who can curate a customized learning experience. There are two sides of that. One is small-group discussion. You learn all the stuff where there’s a right or wrong answer in your homework, then you come to the classroom and you talk about it. And the third thing is projects. My daughter, Nicole, she did her MBA at INSEAD, one of the best business schools in the world. She had to do this project called Create a Business. Forty-five teams competed, and her and her best friend, Joanna Griffiths, won. They won 10,000 euros. They decided they were going to launch a business; Joanna became the CEO. It’s called Knix Wear. That project has now led to a company and that company started two months ago — it’s a rocket. They did a big crowd-funding campaign, and during that campaign Hudson Bay noticed them and bought a massive first order. They now have one of the biggest retail outlets in the world, and all that came about because instead of sitting around being lectured to, they did a project. So three things: anytime there’s a right or wrong answer use a computer, free up profs so they can have small-group discussions and you do more projects. And that’s how we need to reinvent the model of education. How should businesses better utilize millennials? The first thing, this new generation comes into the workforce and they have great tools, they’re happy to have a job because of youth unemployment, they’re bright-eyed, bushy tailed, they’re ready to go. And what do we do? We stick them in a cubicle and treat them like Dilbert. Then we take away their tools. We ban Facebook. We do the opposite of what we should do. As parents we stick the computer in the family room so we can spy on our 14-year-old to make sure he’s not going to inappropriate places. Hello, did you notice he’s got a computer in his pocket, and he’ll see a dozen other computers throughout the day where he can get access to anything he wants to? Rather than this being something that brings families together, we do the wrong thing. We cause friction and discord. In every institution this is true. The schools: rather than listening to kids and understanding that they learn differently — we call them the dumbest generation, like Mark Bauerlein did — we get angry because they don’t come to our lectures. You mentioned in your presentation that you were optimistic about this generation. Why? I’m optimistic because of this generation. Full stop. I think that this is a wonderful generation, and they’ve got the new culture of every institution, pretty much. They’re smart, overall. And at their fingertips they have the most powerful tool ever for bringing about positive change, influencing government and society. So that’s kind of why I chose that as a topic today.